The Air Pro RF-5W features a carbon-Kevlar/fiberglass construction. It includes a wider eye opening that can be used for open wheel or closed cockpit driving. Multiple exterior vents increase circulation to a redesigned interior. 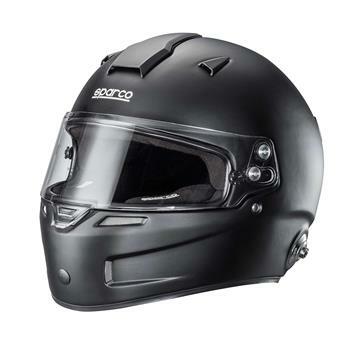 The interior has channels which not only cool the driver, but has additional channels which route air towards the visor, which reduces the chance of visor fogging. Air Pro RF-5W has removable, washable padding that can be repositioned for a comfortable fit. All interior seams have been removed from areas where greater pressure is exerted on the head. The Air Pro RF-5W has been designed to accommodate a drink tube and an intercom system. Available in white or flat black, sizes XS to XXL (new size M/L). Air Pro RF-5W has Hans clips pre-installed. FIA 8859-2015 and Snell SA2015 approved.